Here are the K-12 Learner's Materials/LM for Grades 1-12. These files are free, downloadable and printable. Available in pdf format. Kindly browse the link below to get the download links. Disclaimer: We don't own these files. Credit to the owner. 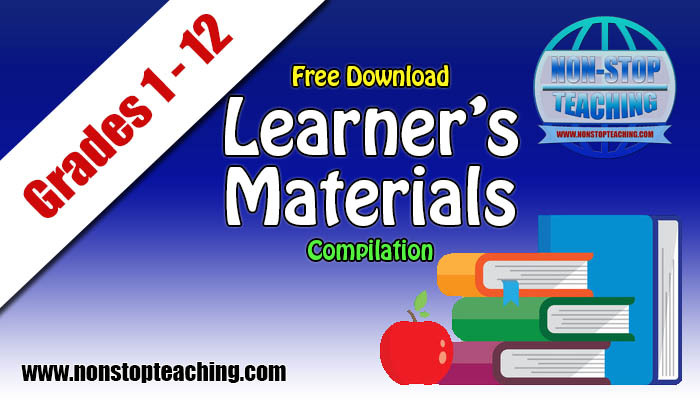 Here are the K-12 Learner's Materials/LM for Grades 1-12. These files are free, downloadable and printable. Available in pdf format.